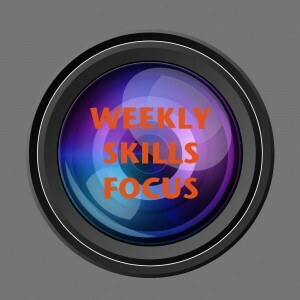 This is why the skills focus is designed to be a weekly topic. On any given shift, you are going to have only a portion of your staff in the building. By the end of a week though you have seen each staff member several times. Using each pre-shift meeting to reinforce the message will have far more impact than each manager addressing a different topic each shift. There is power in repetition that you can harness to achieve the positive change you want to see. Just like any other change in a restaurant, this will require the entire management staff buying into this concept. Once they do though, the impacts will be immediate. 1) Learning to learn- This is the most basic type of learning. You learn the information so you have a basic understanding of it. 2) Learning to teach- This requires a higher level of understanding. Not only do you understand the knowledge, but also you are able to explain it to someone else. 3) Teaching to teach- This is the highest level of learning. You must be able to understand the topic so well that you can convey the information to someone in a way that enables him or her to pass it along well enough that the student can teach it. In restaurants, these three layers of learning have titles. Someone at the first level would be a trainee, the second would be a trainer, and the third would be the person that trains the trainer. In effect, the method of teaching that I am advocating in this post will advance your staff to this third level on a particular skill in under a week. Over the course of a year, the knowledge level of your staff will skyrocket and their income will reflect it. The key to this is engaging them in the process by tapping into the core factors that motivate servers. When addressing these topics it is important to transition the way you teach then throughout the course of the week. Monday, Tuesday, and Wednesday should be dedicated to teaching the particular skill. By the end of these three days, this information has been presented at six different meetings. Thursday and Friday should transition to the next phase. Call on the staff members who have been at the previous meetings to help you provide examples of how they have been implementing the skills and what results they have seen. Saturday and Sunday should focus on letting your staff share their best practices and coach those who have not had the best results. By the end of the week, your role is more to facilitate the lesson rather than teach it. This allows your staff members progress to the higher levels of learning. Teaching guides: Not only will I be linking back to a specific post from my blog Tips2 each week, but I will also be posting instructional notes on this site to help you reach that second level of learning faster. Some of these topics might require you to learn how to teach them. I will be providing that information each week to keep you a step ahead. I will also be providing server notes on the topic at the same time on Tips2 for you to be able to refer your trainers and top performers to. Credibility: Too often lessons like this fail because the manager teaching them is not perceived as a credible instructor by their staff. They see you in a management role and doubt that you understand the difficulties they face on a daily basis. Whether this is true or not, I have eliminated the problem for you. It will be difficult for any member of your staff to question my credibility. I am still a server with over 16 years of experience. I the most recent recipient of the “Best Server” award for my city and am a published author on the topic of serving. I write seven different blogs on serving and have been featured on nearly a dozen more. Send them to my websites and they will not doubt that I understand their struggles and am here to mentor them. This takes the perception of your credibility out of the equation. I also think it bears mentioning that my book Tips2: Tips For Improving Your Tips is broken up into 52 specific chapters for exactly this reason. The book contains a year’s worth of topics for you to teach in the order you feel will most specifically address the needs of your staff at any given time. I believe it is a great supplement to this concept and would be a welcome addition to your office bookshelf. This feature will have the power to ignite your staffs learning and cause your sales and customer satisfaction levels to skyrocket. The key is implementing it properly and consistently. Each Monday morning you will find a new topic here to work on for the week. I hope this provides you with inspiration to get out there and help your staff, their tips, and the restaurant’s sales grow. Please feel free to contact me at David@hospitalityformula.com with any questions or feedback on this new feature.